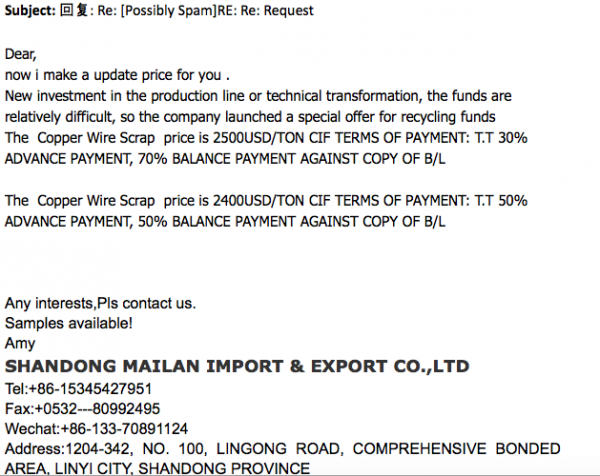 Have you been doing research on Shandong Mailan Import Export Co Ltd located in Shandong China sells Copper Wire? 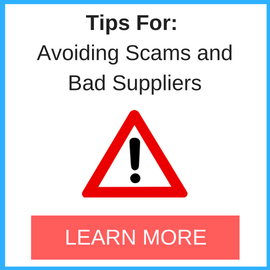 If so, read on below to read one buyers experience when trying to buy Copper Wire. We want to buy Copper wire Scrap from China, we checked the Alibaba and found several sellers. We contacted to Shandong Mailan Import & Export Co. Ltd., who represent name is Amy. We agreed on some terms and payment terms. Firstly they want % Advanced Payment, but we did not accept. Later we agreed %100 LC on sight. However, when we want their company documents and current photos/videos of products + we want to SGS check on warehouse if products are real or not, suddenly they stopped respond our emails. This is totally waste of time for our company since 1 month. They are not real product owner, they try to get % some advance payment. They don’t have any legal documents. They don’t accept SGS inspectors. Totally waste of time, stay keep away. We don’t want to accuse Alibaba.com but if they check these companies, at least please check them regularly. Because, when we see the Gold Supplier / AV Site on check logo on Alibaba.com we trust them because of Alibaba.com. 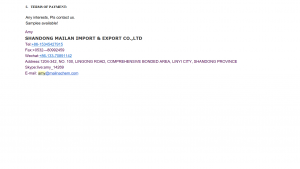 Need More Info on Shandong Mailan Import Export Co Ltd? 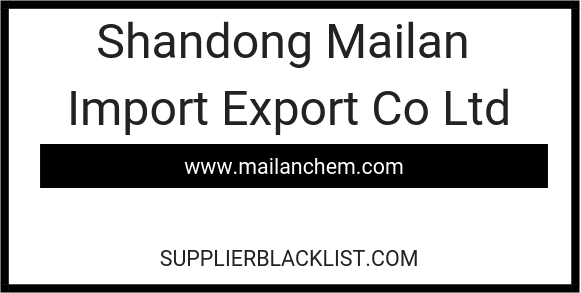 If you need more information, you can click the below links to search for more submissions about Shandong Mailan Import Export Co Ltd on Supplier Blacklist as well as go to the search results page on Google for more reviews online about this company. Perform a Supplier Blacklist search for more reviews on Shandong Mailan Import Export Co Ltd.
Search Google for Shandong Mailan Import Export Co Ltd Reviews. 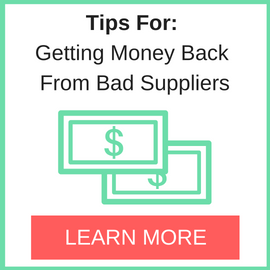 We have faced a similar situation, where we had checked this company from Alibaba.com. They have 2 websites “www.mailanchem.com” and “www.mailanmetal.com/”. However we contacted Wang Amy through email amy@mailnachem.com. We intended to buy Aluminium scrap 6063. After lots of negotiations, we received the invoice to pay a total amount of USD 15600. We paid the advance payment of USD 4680 in their bank account which is held with WeihaiCityCommercial Bank Co Ltd . However after receiving the payment, no contact could be established with this company or amy. We had also asked for their trade license, which they provided. As per the Trade license the owner’s name is Liu ji kao. They are also not replying on the emails. The phone numbers are all not reachable. This company is a total fraud and our advance payment has been lost. We urge everyone reading this not to trust these people. First of all, I don’t understand why you put our company on the blacklist. 1. We have not signed any contract with you. 2. We did not charge you any advance payment and deposit. 3. Due to the strictness of the domestic environmental protection bureau, we did not pick you up, so we did not respond to you in time. Finally, please delete this untrue information, otherwise we will use legal weapons to protect the rights of our company.